SW7, the celebrated showcase event hosted by the Science Museum, the Victoria and Albert Museum (V&A) and Natural History Museum, returned for the fourth time on Tuesday (5 July), welcoming some of the biggest names in the events industry. 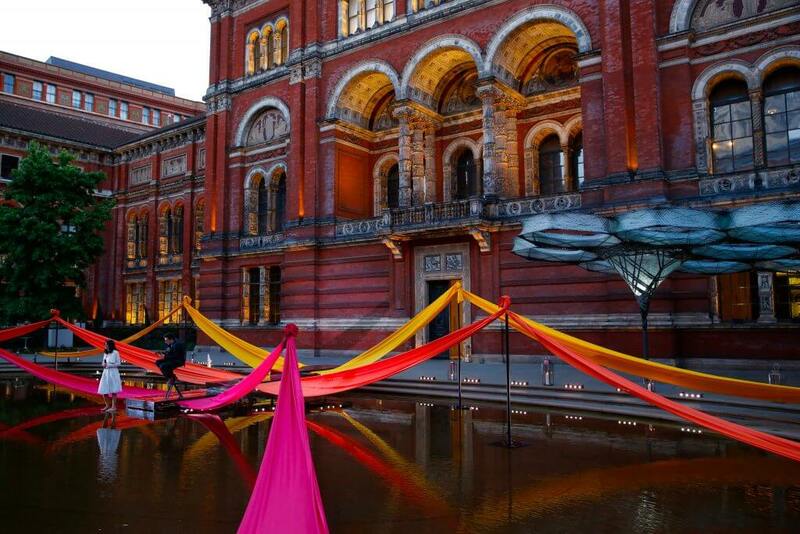 Companies such as ITV, the Prince’s Trust and Rolls Royce were among the 200 guests who attended the exclusive event. 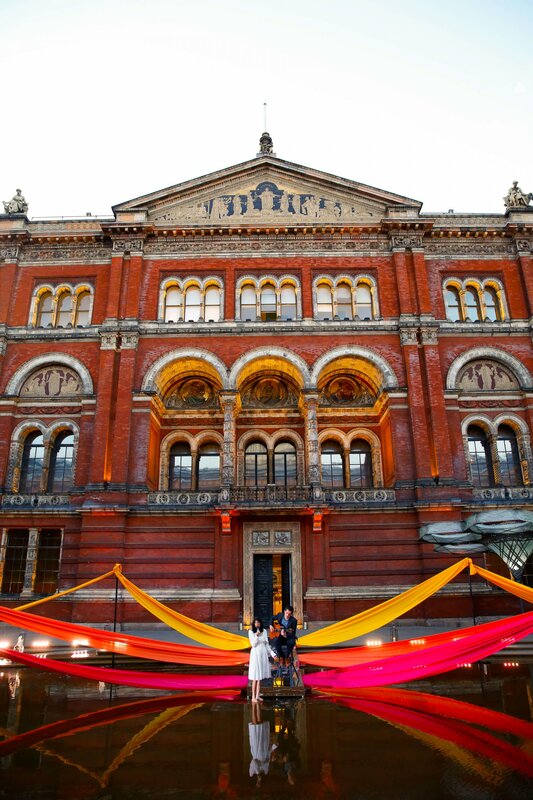 Guests were divided into three groups, with each one enjoying the drinks reception, main course and a dessert at a different museum, exchanging places at two separate intervals during the evening. 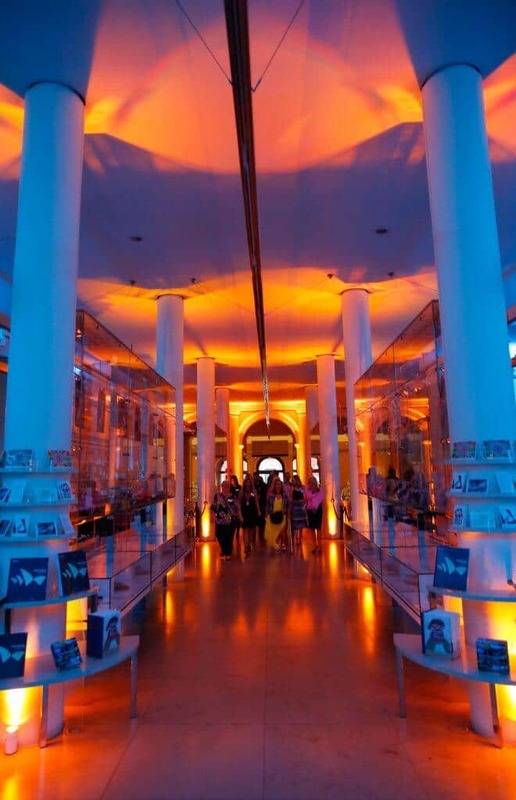 Those attending enjoyed a taste of the exceptional food, first-class entertainment and décor within each of the museums’ unique event spaces. 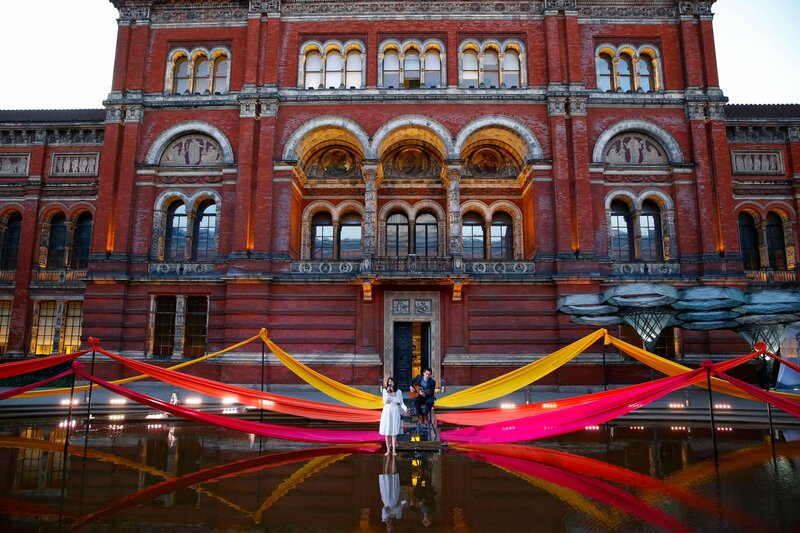 The V&A embraced a colourful celebration of summer in the John Madejski Garden with champagne, cocktails and live food prepared at a chef’s table by the recipe. 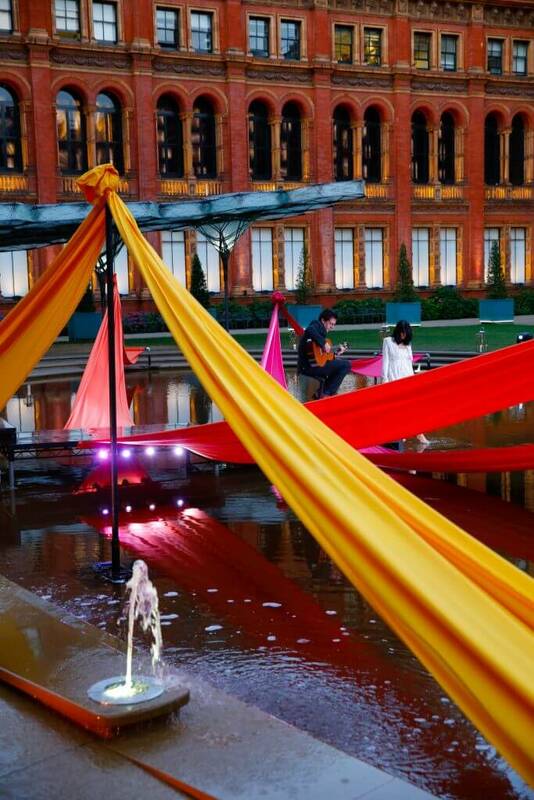 Production by Light Motif included sweeping coloured back drops to the reception and a magical walking on water performance. 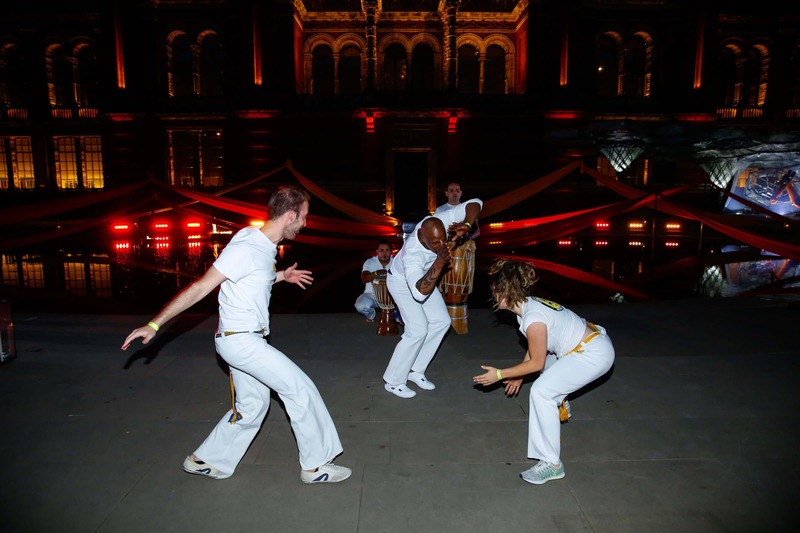 Flowers were courtesy of Philippa Craddock while entertainment from Sternberg Clarke included Sararosa performing Jazz and Bossa music in the ellipse and Capoeira Ceara closing the V&A section with an energetic performance of Afro Brazilian music and dance. 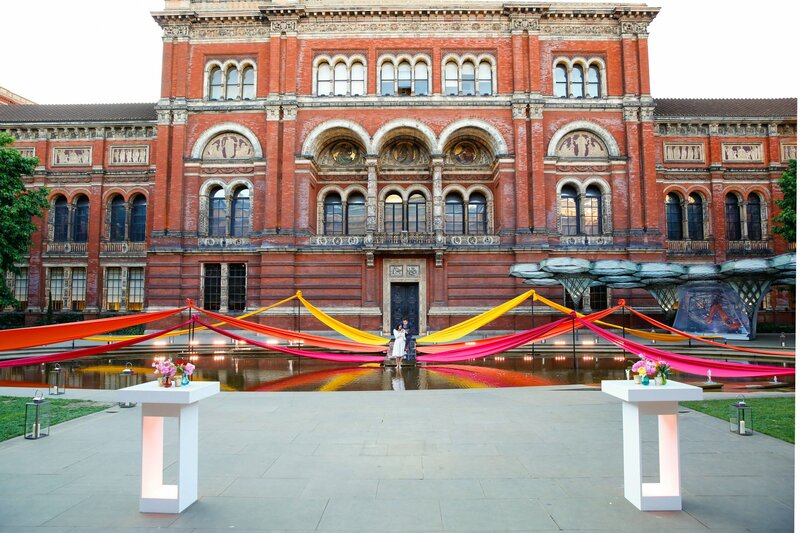 Rachel de Woolfson, Senior Corporate Events Manager at the V&A, says: “This year’s SW7 event has been a phenomenal success. 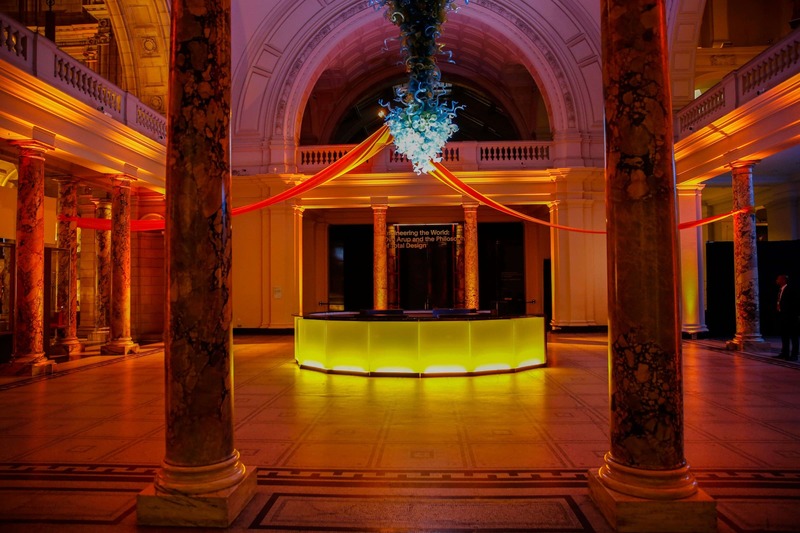 Following our last event in 2014, we wanted to make sure the showcase returned with a bang, bigger and better than ever. 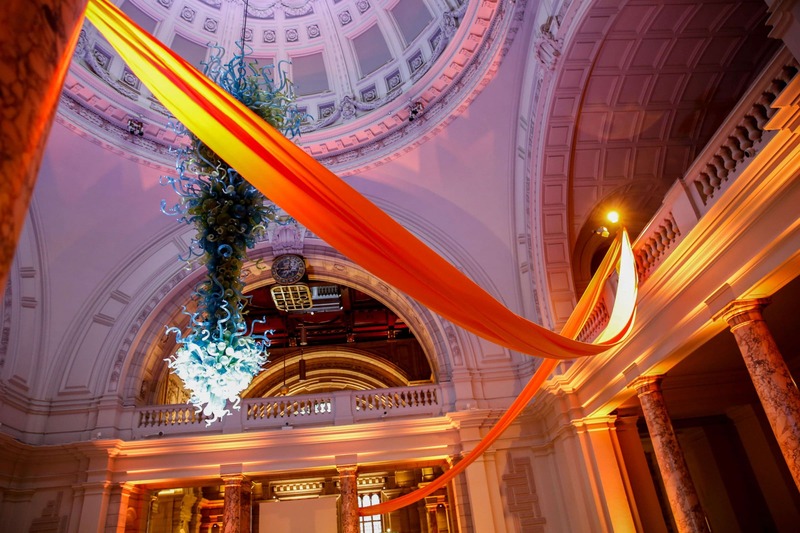 Each museum stepped up to the next level showcasing the fantastic opportunities available in each of our unique event spaces and the quality of suppliers. 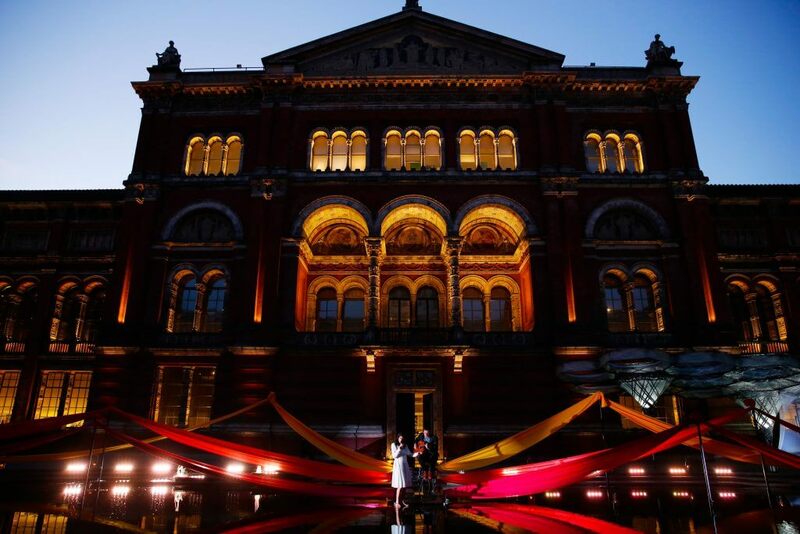 The feedback from guests has been fantastic and we are pleased to have once again provided a highly memorable night for all involved.